Home / News / TRUTH METER: IS WPDE STATION MANAGER ON CHAMBER BOARD? 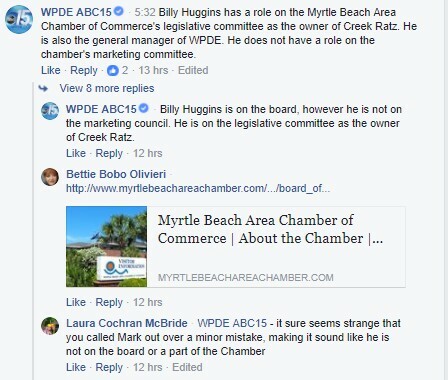 During last night’s Myrtle Beach Mayoral debates held on Sinclair Broadcasting owned station, WPDE, candidate Mark McBride was chastised by the moderator for stating WPDE Station Manager Billy Huggins served on the Myrtle Beach Area Chamber Board Of Directors in the advertising committee. The moderator later corrected Candidate McBride stating that Mr. Huggins did not serve on the MBACC board. 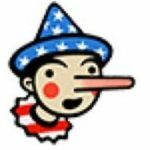 MyrtleBeachSC.com rates this statement by WPDE as a 5 on the Pinocchio scale. Mr. Huggins’ listing on the MBACC board, identifies him as associated with Creek Ratz, a restaurant Mr. Huggins is a partner in. 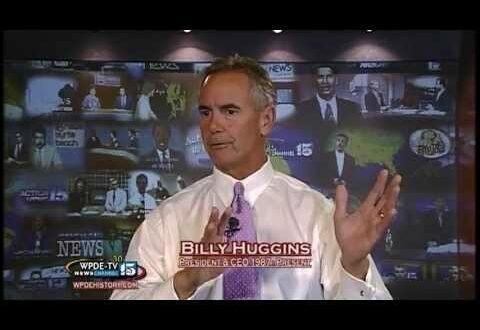 However, Mr. Huggins is also the Station Manager at WPDE ABC TV 15. Sinclair Broadcasting receives millions annually from the Myrtle Beach Area Chamber of Commerce. Previous SuperBlock Library Controversy – Should The City Manager Be Fired?